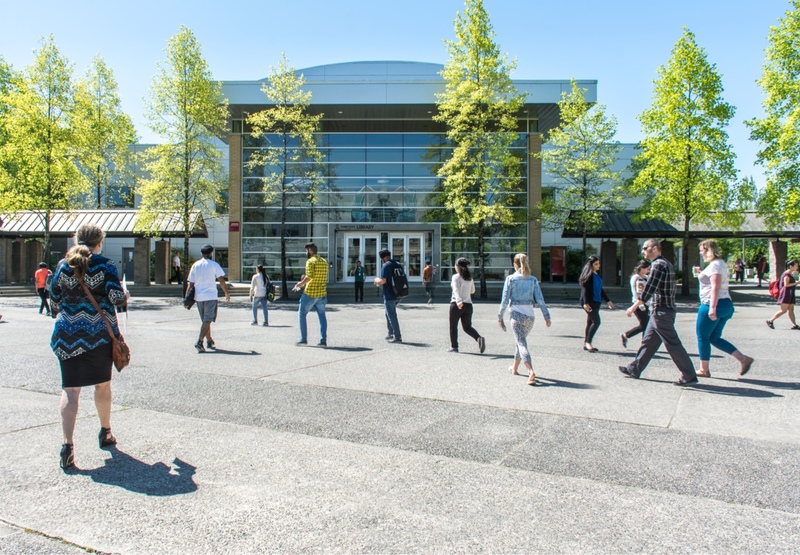 Visit Online Self-Service and enter your user name (your student number), and your password. If it is your first time to login, your default password is your birthdate in this format: DDMonYYYY (e.g. January 01, 1999 is 01Jan1999). Click "Update Address(es) and Phone(s)". 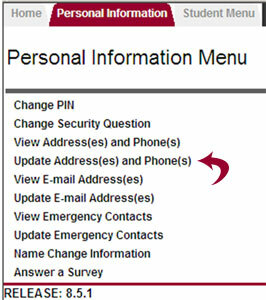 Click on "Current" to update your new address and phone number. Scroll down and click on "Submit" located on bottom left of your screen. 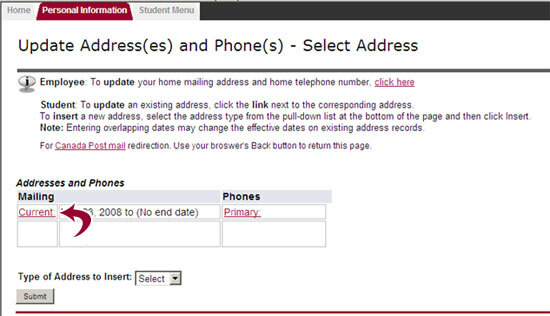 Check and make sure your address is correct after you are redirected back to "Update Address(es) and Phone(s)" page. You have successfully updated your information!